When the milk industry moved away from the "Got Milk" tagline last year after 20 years of featuring smiling celebrities with milk mustaches, it wasn't because consumers didn't love the ads. It was because the campaign didn't stop the steady downward slide in Americans' milk consumption. Today, a new dairy industry slogan, "Milk Life," is aimed squarely at promoting the nutritional benefits of milk, notes Ad Age. But a branding change alone cannot reverse the milk sales slump. It requires a combination of efforts, including promoting milk's healthful qualities and creating even more innovative dairy products that meet consumers' changing needs. These efforts have to be strong to combat the dairy industry's current challenges, including that the exponential export growth of the past 10 years (detailed here) is at risk thanks to a strong dollar and increased global production capacity. And a major Swedish study issued last fall and a pop-culture book released in April are strongly questioning some truths about milk's healthfulness. Still, the book's findings should be considered with caution, as its author, who conducted the research, is not a health professional, and clarifies that the book should not serve as a substitute for the advice of a qualified medical professional. Mixing categories with creative milk-based options. Smaller and single serving packaging sizes are crucial components of convenience. Yet a large volume of milk remains stuck in coolers at the back of the store, packed in unwieldy jugs and waiting for a consumer to pour it into a glass or over a bowl of dry cereal--another breakfast-centric product that has suffered steep declines, notes The New York Times, replaced by the on-the-go convenience of nutritional bars. This may help explain why just half of the Millennial population buys refrigerated milk or non-dairy milk alternatives, according to a 2014 Mintel report, compared with 64 percent of Baby Boomers, who were raised with the habit of consuming milk. Many times, Millennials aren't able to find milk on offer where they shop for drinks, namely in front-and-center, single-serve coolers at grocery stores, convenience marts and restaurants. Milk has long been viewed as critical to providing essential nutrients to children. The U.S. federal government continues to include dairy products (milk, yogurt and cheese) in MyPlate, an update to its food guide pyramid, providing guidance on which types and what quantities to eat from each food group. 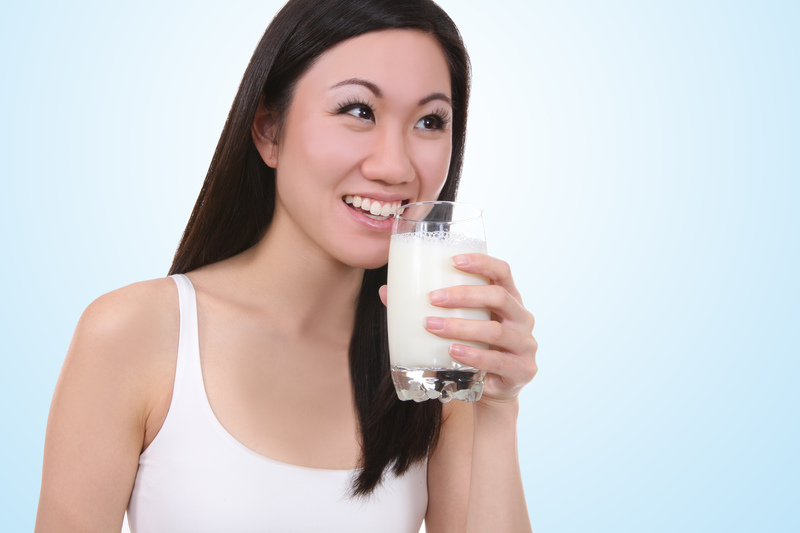 And the National Dairy Council points out dairy consumption health benefits to women, as noted by the USDA, include greater bone health, stronger teeth and muscles as well as reducing risk of kidney stones and osteoporosis. Tetra Pak's 2015 Dairy Index echoes these findings. It reports that while consumers are living busier lives, they are also drinking milk as part of a healthful diet. Consumers continue to hold an overwhelmingly positive view of milk, recognizing that milk is a good source of calcium, that it's healthy and nutritious as well as tasty. Among the trends the Dairy Index highlights, is the development of customized products to meet consumers' health concerns such as easier digestion. To cater to special populations, producers have consistently given consumers milk formulations with enhanced nutritional profiles, including adding Vitamins A and D and offering a variety of fat percentage options. For many producers, selling more milk may become a matter of novel formulation and marketing. For example, manufacturers are blending milk with other ingredients and classifying the resulting products in new ways. The refrigerated single-serve lattes popular with consumers, for example, contain some coffee but even more milk. Many of the meal-replacement products and creamy, fruit smoothies sold in the U.S. also contain significant amounts of milk, which boosts their protein content -- and hopefully sales. Likewise, many protein shakes and performance beverages contain notable amounts of milk or milk proteins. For decades, milk's producers have believed they could turn the tide by reminding consumers of what producers have always believed so strongly: That traditional milk is one of nature's most perfect and nourishing foods. Today, industry innovators are beginning to achieve success by listening to what customers want -- highly nutritious, protein-packed beverages with exciting flavor profiles whose packaging supports busy, on-the-go lifestyles. Milk's future depends on whether those innovative market leaders attract followers. Getting the message out about milk's health benefits, combined with innovative efforts, will put today's dairy producers at the forefront of a revitalized market.